The overall prevalence of rare metabolic diseases, or innate metabolic disorders, is estimated to be one in every 4,000 live births. More than 600 different metabolic diseases are known to us today. These genetic diseases prevent the body from assimilating amino acids from our food. When untreated, these diseases can cause vomiting, severe seizures, severe neurological damage and even death of the patient. Although there has been undeniable progress over the past two decades in regards to protecting children suffering from these diseases in Chile, many children remain unable to access the necessary food and medical treatment due to its cost. Although the cost per unit is relatively affordable, low-income families can not afford the treatment because of the high dosage requirement. 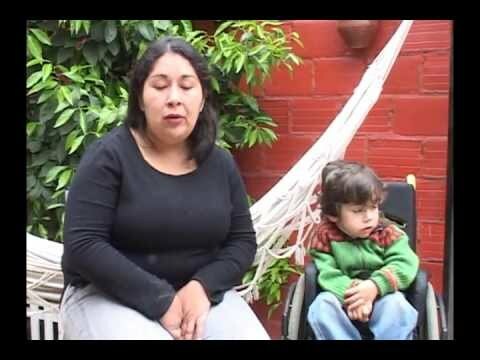 Since 2005, AMADE Chile has helped 46 children with metabolic diseases, whose families have limited resources in terms of access to treatment and raising awareness among families and medical staff. The diseases treated are: propionic aciduria, methylmalonic aciduria, glutaric aciduria, leucinosis, citrullinemia, tyrosinemia, phenylketonuria and tetrahydrobiopterin deficiency. Since 2005, AMADE Chile has been involved in access to treatment for children with metabolic diseases and access to information for families and health professionals. Between 2013 and 2016, the partnership established with the Laboratory of Genetics and Metabolic Diseases (LabGEM) of the Institute of Nutritional Technologies (INTA) in the University of Santiago, Chile made it possible to refer 46 cases to AMADE Chile. These were cases of children suffering from metabolic diseases and who were from disadvantaged backgrounds with families that had encountered serious difficulties in regards to ensuring satisfactory nutritional and medical care of their children. Each of these children have been able to benefit from adequate nutrition and access to medicines which, although not reimbursed by the Ministry of Health, remain essential in order to stop or limit the progress of the disease. A protocol of care and a specific medical follow-up were set up for each pathology type (Tyrosinemia type 1, Glutaric acid, Citrullinemia, Phenylketonuria, Leucinosis ...), in collaboration with LabGEM's physicians, nutritionists, neurologists and psychologists . - Strengthen the parent networks, particularly through the structuring of two parent associations: the Association of Families of Children (AFANTI) and the Family Association PKU. A pilot experiment was successfully conducted with the introduction of a dozen digital tablets to promote the psychomotor and intellectual development of children with mental retardation due to disease. Thanks to the experience gained and the results capitalized on by this pilot project, the Chilean authorities have taken into account the specific needs of some families managing these diseases. For example, the Chilean Ministry of Health has established neonatal screening for certain metabolic diseases (phenylketonuria and hypothyroidism) and is now responsible for the medical treatment of children with type 1 tyrosinemia, without which the disease results in death. Diagnosed children can now hope to live until adulthood. To contribute to the improvement of the health of children suffering from metabolic diseases in Chile.